Loudilla Maxine Johnson, who co-founded the International Fan Club Organization (IFCO) along with her sisters Loretta and Kay, died in Franklin, TN on Wednesday, May 7, 2014, at age 75. You would think it would be easy to write about a dear friend, someone you loved and respected for a long time, but not so. It was more than a week after we lost her before I even attempted to write a tribute and I still couldn't do it. It simply hurt to much and as soon as I started typing, the tears started flowing. So I waited another week and I was still not able to. After almost a month I realized it was never going to be easy to write about the loss of someone so special... so here goes. Although Loudilla was best known as one-third of the Johnson sisters, the most delightful trio to ever grace a stage in Nashville, or anywhere else for that matter, to me and my husband she was simply our "darling 'dilla", a beloved and longtime friend. Her death came as quite a shock since we had no indication how very ill she was, in fact, I don't think even she knew. I had talked with her a few weeks before she passed away and although she did say she wasn't feeling well, always the "big sister", her main concern was Kay's health issues and that's what we talked about. Writing a tribute to Loudilla isn’t easy for other reasons too. It's not because there aren’t enough words to describe her, it's because there are so many marvelous words that characterize who she was and what she stood for. My problem lies in how do I convey her energy, her beauty, her compassion, her inspiring spirit, and peerless personality, in just a few paragraphs? The answer is; I can’t and I hope to honor her memory with the dignity she deserves while not inflicting upon our readers the pain I am feeling over losing her. She was such an amazing human being who was also a cherished inspiration to me and countless others. She truly was a pioneer, an innovator, a mover and a shaker, and always the cheerleader... for her sisters, her clients, her friends. Together, the Johnson Sisters were Wonder Woman times three and our "darling 'dilla" was their fearless leader. Our heart and our prayers go out to the only surviving sister, Kay. She has been ill for a quite some time and without Loudilla to help care for her, she has made the decision to move back to Colorado to be near the rest of her family. The Johnson sisters were precious and unique ambassadors to the world. There is no way to adequately guage the impact this adorable trio had on country music just as there is no way to guage the loss we now feel. We only know for sure that both the sisters and the loss can be described as monumental. 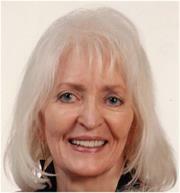 In April of 2009, Loretta Johnson lost her long, and devastating, battle with cancer. For those of you who don’t know, Loretta was one third of the "Johnson sisters;" founders of the International Fan Club Organization, most often referred to as IFCO. She is survived by her wonderful sisters Loudilla and Kay. As co-presidents of IFCO, Loretta and her sisters have been paramount in their contributions to country music, in general, and Music City, in particular, but they contributed even more to humanity; individually and collectively. I’m sure that Loudilla and Kay will continue to do so and our entire crew joins me in sending our heartfelt condolences to them. Loretta was, most often, the humorist of this amazingly gifted, beautiful, family trio. She was always cracking jokes and giving you plenty of reason to laugh. She was quite a character and also quite verbal about being smitten with my husband, whom she affectionately referred to as “ol’ blue eyes.” To give you an indication of her sense of humor, I have more than one email from her that begins, “Dear ol’ blue eyes and what’s her name", it never failed to make me laugh out loud. As a matter of fact, just hearing from her would make me smile. She loved sunflowers and she would make a sunflower decoupage for folks that had touched her heart in some way. A package would arrive, unannounced, and you would open it to find a poem, a personal note, or a saying, decoupaged with a large sunflower in the background. When you tried to thank her for making something so special, she would downplay it by saying they were easy to make. Well, when you consider that she was in the midst of fighting for her life every single day that she lived, and that she took time, ignoring her own pain, to create something unique for you; it was quite humbling. However, I can say with confidence that humble was not what she wanted you to feel. She wanted you to feel special... and you did. Very special. Not too many people can make you feel that way. Loretta made everyone she ever met feel that way. Loretta Johnson was one of a kind and when she died, Nashville lost a most important and unique piece of its heart. The air in the Ryman theatre is charged with electricity and you can feel the aura of greatness in the walls, the curtains, and the floor. From the wings of the stage you look out at the pews and up to the old church windows that filter the sun and send it down in a rainbow of colors across the balcony seats. You can look across the stage to the old WSM broadcast booth and imagine how it must have felt to be a performer there. It is also easy to close your eyes and picture folks gathering around their old radios at home, unaware that as they are entertained, they are also witness to an incredible, musical history. Or look down at the front rows and imagine sitting there as Patsy Cline belted out a new song that Willie had just written for her while they were sitting at the bar in Tootsie's, waiting to go on the Opry show. The Ryman is an awe-inspiring place to be and as I listened to Robert K. Oermann introduce Loudilla, Loretta and Kay, affectionately known around the world as the Johnson sisters, I wondered how many people realize what a valuable contribution they have made (and continue to make) in the preservation and promotion of country music, in fact, all music. These three, beautiful, unimposing, gracious ladies really started this whole fan fair type thing with the International Fan Club Organization (IFCO). Marjie McGraw, a Nashville Lifestyles journalist wrote a few years ago that the sisters are "the perfect anecdotes to a corporate world where music is scored on accounting ledgers and hype outweighs heart." If you have ever had the pleasure of meeting the Johnson sisters, you know this is so true. But despite having a history of their own that easily rivals some of the biggest names in Nashville, they remain unassuming, gentle souls (albeit with an outrageous sense of humor and always at the ready for mischief). As co-presidents of IFCO, the only fan club monitoring organization in the world, they have been the dedicated voice of the fans, and the artists, for thirty-seven years. They are the glue that binds the many facets of this industry together. What began as a hobby back in 1963 has led them down a marvelous, musical path through history. Not only the history they witnessed but history they helped make. IFCO now monitors over three hundred fan clubs, including those of some of the biggest names in music. Being validated by IFCO is a first step in the right direction for any artist. In 1968, four years before the first Fan Fair, the sisters held the first annual IFCO Show. It wasn't just a showcase for the artists, it was also a chance for the fans to meet their favorite artists and get an autograph. This event gave birth to what eventually became known as Fan Fair, which debuted in 1972 under the co-sponsorship of the Country Music Association and the Grand Ole Opry. The days-long event, first held at Nashville's Municipal Auditorium and then at the Tennessee State Fairgrounds, gave fans the chance to actually meet their country idols as well as see them perform. Fan Fair moved to various sites in downtown Nashville in 2001 and was renamed the CMA Music Festival in 2004. They've come a long way since their humble beginnings and have managed to keep pace with their peers while always putting the desire of the fans first. They were also one of the first music related businesses to claim an address on the World Wide Web. Today, they maintain an impressive data base and a website with, literally, thousands of pages. They have also expanded their support base to include all genres of music and other modes of entertainment. 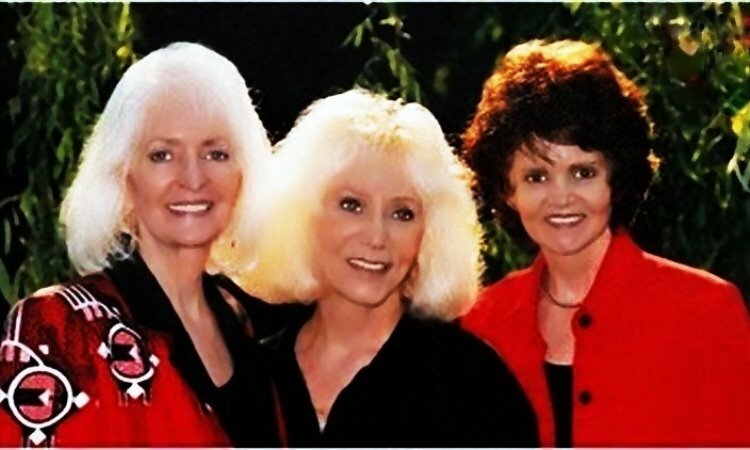 The Johnson sisters are such an integral part of the country music industry and the concept that has grown to be called CMA Music Fest/Fan Fair can be traced back to these three utterly disarming, totally charming, wildly-whacked-out, funny, unassuming, promotional genius's. They are the Yin to Nashville's Yang. If you have ever been fortunate enough to meet them, you know exactly what I mean. They are also an enigma in the sense that as they promote towards the future, they are fervent keepers of the past. They are truly Nashville treasures and some would argue that they already qualify, by their contributions to the preservation and support of country music around the world, as national treasures.